Love is one emotion that makes you question if you really know yourself. Why? Because you do things that even your conscience has a hard time rationalising the action or in some cases reaction. In my young life, I have done some things because of love that till tomorrow, I can’t believe it when I think back. I won’t bore you with any of my stories, I’ll save them for my grandchildren 😁. As the year come to an end, there are a lot of weddings going on, people getting engaged while some take the first step towards a new relationship. This past weekend, I witnessed two of my friends exchange their wedding vows and get married. Nigeria is probably the only country in which a couple have three different marriages. Nigerian weddings typically follow this timeline: Thursday: married by law (registry); Friday: married by culture (traditional marriage); Saturday: married in the presence of God (white wedding). Not looking forward to the wedding stress at all lol. Despite the heartbreaks and disappointments, love never goes out of fashion. Love is an action, a conscious decision to always look for the best in your partner even when they’ve let you down or annoyed you. It isn’t that butterfly fluttering in your tummy, that’s your hormones. It isn’t that weird "kumbaya beautiful rainbowy" outlook that you have at the beginning of a new relationship. It is the conscious decision you make even when your partner is acting the exact opposite of what you expected or of the illusion they painted for you at the beginning. How do I know that love is an action? It's because of the person (can I call Him a person?) that set the standard. "For God so loved the world that he gave his one and only Son, that whoever believes in him shall not perish but have eternal life." 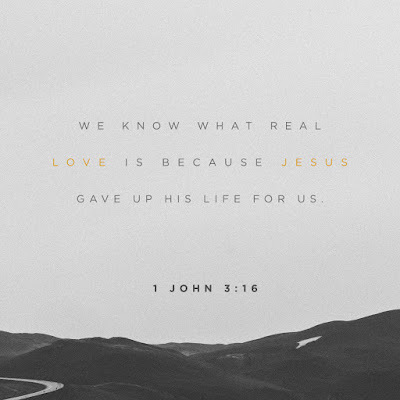 (John 3:16, NIV). "This is how we know what love is: Jesus Christ laid down his life for us. And we ought to lay down our lives for our brothers and sisters." (I John 3:16, NIV). This is the standard God set for us when it comes to love. He loved us so much that He took the action of sacrificing His one and only son so we can have eternal life. A conscious decision, an action! The action was so great that it baffled the great Apostle Paul in Romans 5 (read it yourself) as he tried to understand the magnitude of God’s love for us. As we enter the final week to Christmas, the charge for each and everyone of us is to go out into the world and spread the love of God. Christmas is such a beautiful period because it is a period in which people go around spreading love through gifts and cards. So, in the spirit of Christmas, show love to the unlovable, the needy and helpless, the broken and down-trodden. Show love to your partner, family and friends. Be intentional in your love. Merry Christmas! P.S. Fall in love by D’banj was on repeat as I wrote this post lol.